On my recent trip to China, I picked up this High Grade Gundam Barbatos Lupus kit in Beijing. Gunpla is very expensive overpriced in the big retails stores in the capital, so when I found this for ~$12, I half expected it to be a bootleg. Fortunately, it was not. Even though I gave up on Iron Blood Orphans halfway into the first season, I admired its mechanical designs. 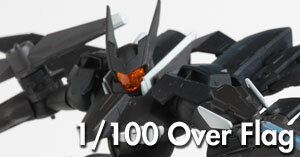 The move away from beam weaponry in general was a great move. As it turned out, seeing robots being blown to bits by ballistic weapons is more interesting than than the usual affair of being melted like hot butter by beam rifles. Similarly, watching giant robots knock each other about by swinging big chunks of metal at each other is very satisfying. 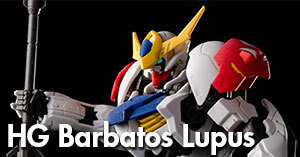 The Barbatos Lupus has a very aggressive design with a lot of sharp angles . 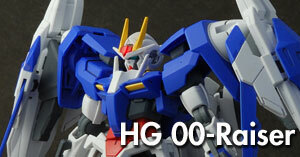 If it were not for the parade colours, I would’ve thought this is a bad guy mobile suit if i didn’t know better. The inner frame is completely exposed at the waist and at the back of the legs, which seems like a really bad idea, but looks really cool. 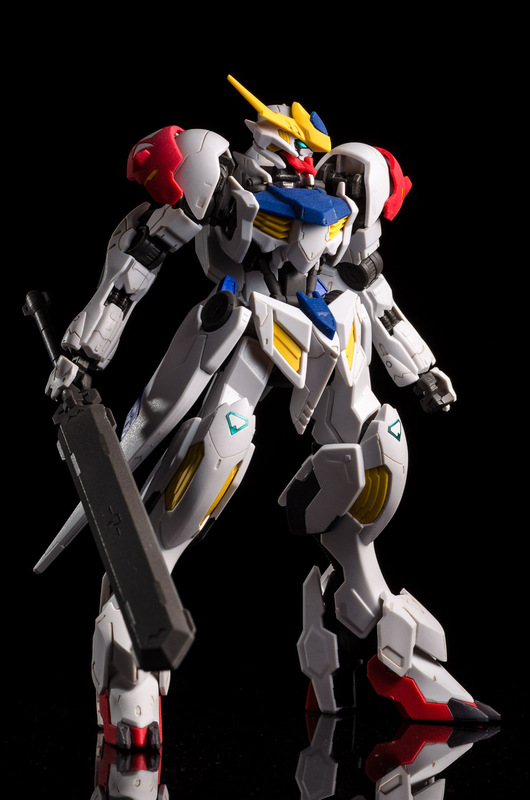 On the subject of articulation, the Barbatos Lupus is a bit of a mixed bag. The main problem lies not with the joints, but rather the suit’s awkward proportions: the forearms and calves are extremely long. To the kit’s credit, a pair of hands with wrists bent forward are included, which is something I’ve wished for in gunpla for a long time. 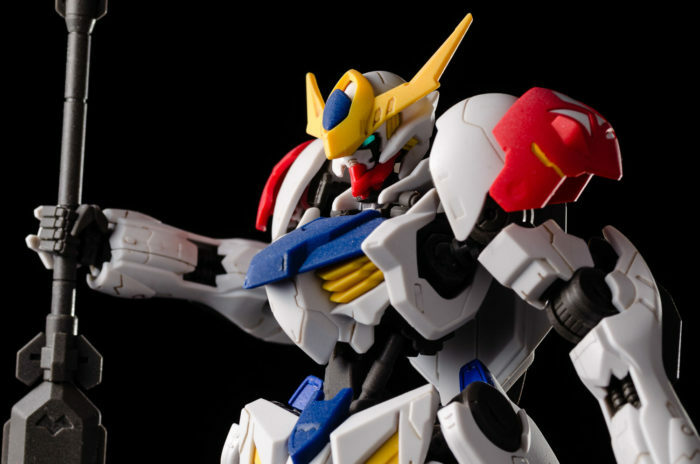 However, any attempt at reproducing a dynamic fighting pose with both hands gripping the weapon will likely end in frustration, simply because the Barbatos Lupus has little regard for human anatomy. I spent the better half of a evening trying to copy the FFXIV dark knight fighting pose before giving up. 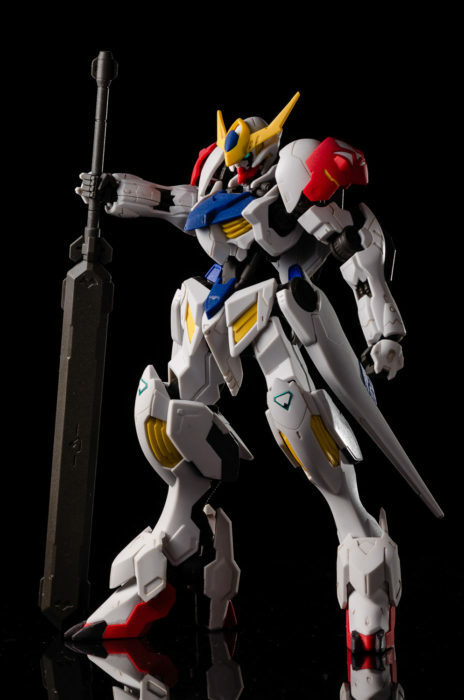 Nevertheless, with its mean-looking sword mace, the Barbatos Lupus does not need to be put in a fancy pose to look cool. Once I made peace with that fact, I learned to like this model, even though I really hoped to take more photos of it in more interesting poses. 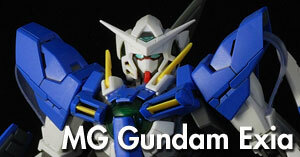 what panel lining u using? I use Citadel washes. Devlan Mud on the white and other light-coloured parts, Badab Black on the rest.